We Happy Few stories are definitely Not Appropriate For Children. It’s also laced with dark humour, hope, and even a spot of redemption. In We Happy Few’s psychedelic, retro soundscape, we’re embracing the musical revolution of the 60s. For example, in the Village, our ambient theme takes inspiration from early 60s space-enthused electronic music, while the Wellies listen to the ultra perky 60s pop, mod, and lounge that is pouring out of the Village speakers and televisions. Our composer and sound guys have been doing a lot of experimentation with vintage 60s instruments (such as mellotrons and other things we secretly suspect aren’t real instruments) and recording techniques, and we’re very excited with how this will shape the atmosphere and tone of our happy yet unsettling world. We Happy Few will release for the Xbox One and PC at a yet unannounced date. 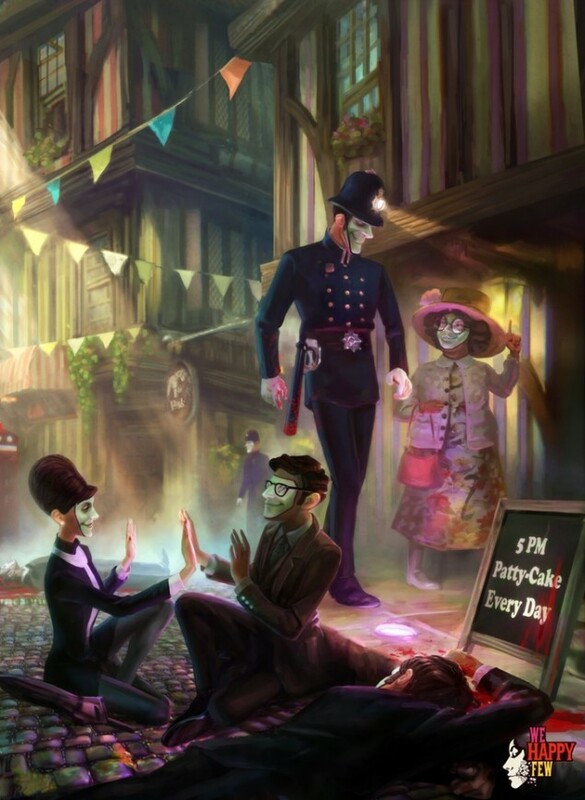 We will bring you any new information on We Happy Few as soon as it becomes available.